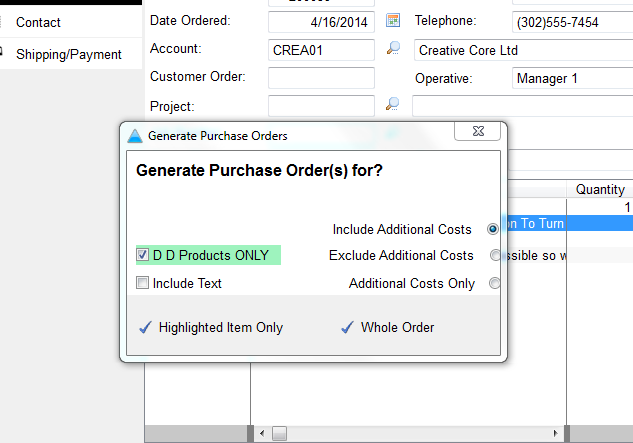 The following will describe how to set products as direct delivery and raise purchase orders for direct delivery products only. 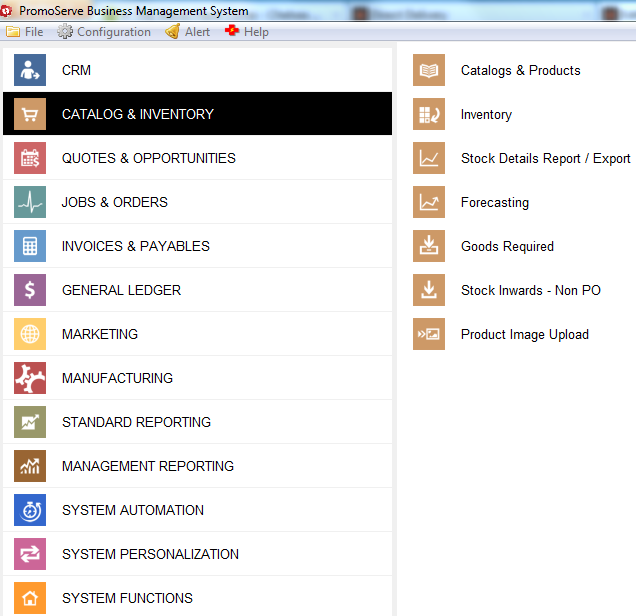 This is useful if you manufacture/store products yourself and order some products from suppliers. You would only want to raise Purchase Orders for the products you are ordering and not the ones you are manufacturing/storing. I have set up a test product in the Database to explain how to check the Direct Delivery Box via import. 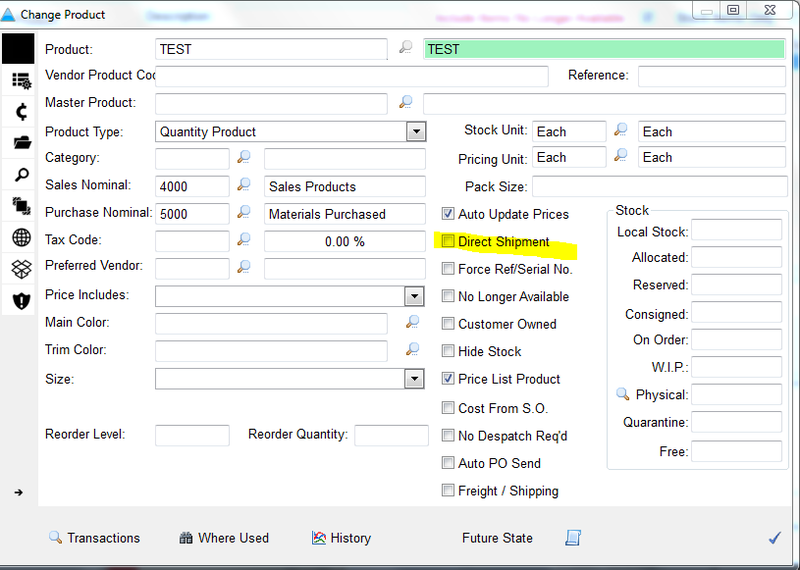 As you can see the Direct Shipment Box is not checked on this test product. Check the 'Direct Shipment' box and click the blue checkmark on the bottom right corner to save. 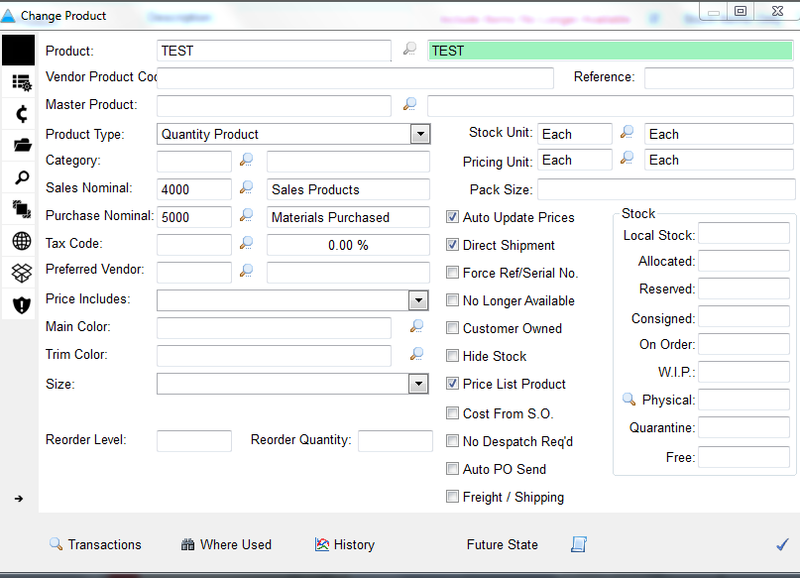 On this Sales Order, I have selected the TEST product (direct shipment product), as well as another product that is not direct shipment. 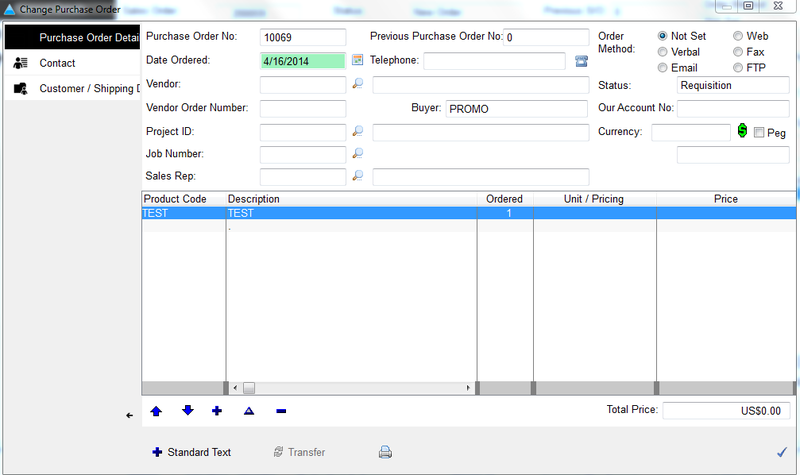 Now when Raising a Purchase Order from the Sales Order, you can check the DD Products Only box and products that are not checked as direct delivery will be excluded from the purchase order. 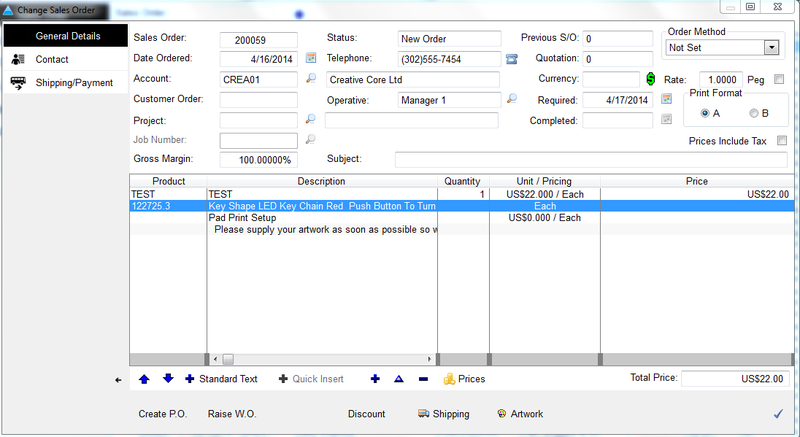 Only the Direct Delivery item shows on the Purchase Order.